Build, test, and deploy your code from GitHub and BitBucket (or no repository at all) to any server in the world regardless of provider. Distelli customers iterate and ship faster with complete transparency. Why do developers choose Octopus Deploy? Why do you like Octopus Deploy? Why do developers choose AWS CodeDeploy? 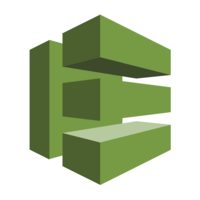 Why do you like AWS CodeDeploy? Why do developers choose Distelli? Why do you like Distelli? What are the cons of using Octopus Deploy? What are the cons of using AWS CodeDeploy? What are the cons of using Distelli? How much does Octopus Deploy cost? How much does AWS CodeDeploy cost? How much does Distelli cost? What companies use Octopus Deploy? What companies use AWS CodeDeploy? What tools integrate with Octopus Deploy? What tools integrate with AWS CodeDeploy? What tools integrate with Distelli? What are some alternatives to Octopus Deploy, AWS CodeDeploy, and Distelli? Dockbit - Turn your software deployments into repeatable workflows. We use Distelli to build and deploy all our Java apps, and plan to use it for upcoming Node.js apps as well. The Distelli agent and CLI are easy to install and setup. The manifest file can be dead simple for basic use cases, or as complex as I need it to be for other cases. They provide tons of examples. The Distelli web interface is well designed and responsive. Pipelines in particular is fantastic: I can visualize and shepherd my releases through various stages with minimal effort. All my support requests have been resolved quickly to my satisfaction, sometimes within the hour. The Distelli team has solid technical chops and a passion for dev-ops; I look forward to seeing more innovation from them. Overall, I have not found a build and deployment solution that is as easy to setup or works as reliably. I'm very happy with Distelli. Our small startup does not have dedicated dev ops and hence we do not have a complicated setup to ease deployments and other ops tasks. Distelli has has made our life super easy. Before this we used to tar and push to s3, but there was no way to rollback, track bugs etc. Distelli's simplicity makes it real easy for a new engineer to get ramped up pity quick and eliminate any possibility of human error and bad deployments. Best part about distelli is their support team, at times we have mailed them even on Sunday night and every time we got the response in no more than 30 min. However distelli does update there agent quite often and it gets a little difficult to keep the latest version on the AMI, hence depriving us of the most recent features and bug fixes. We started using Distelli after living with Capistrano for a while. Its first major benefit for us is really fast rollback. When someone deploys a buggy build (it happens!) we can roll back in a matter of minutes or less. Pretty great. Another benefit is the configurability. Their "distelli-manifest.yml" file allows you to easily declare whatever commands you want to run before and after release, as well as whitelist and blacklist files--keeping your deploys nice and trim. Like any young company, they've had some issues, but they've always worked hard to resolve them, and usually do so very quickly. They also listen to our feature requests and usually eventually implement them. While struggling with out-dated CI technology, I stumbled across Distelli. In minutes, I was able to configure and launch their platform and had production and development environments live. Distelli offers very basic build and deploy with minimal configuration or support for advanced setups with custom procedures and flexible configurations. They provide live feedback on system health and deployment status alongside management tools for controlling what versions are deployed where. Distelli's interface is very responsive and easy on the eyes. I recommend trying them out. Our team has been using Distelli for over a year and it has streamlined our deploy process, making deployments smoother, faster, and more reliable. I found the WebUI somewhat difficult to navigate at first, but once you know where to find what you need the app is easy to use. Support from the Distelli team is responsive, attentive, and actively looking for ways to improve the product. I never felt like I was left in the dark about any issue that I brought up, and every issue that arose was met with an inquisitive persistence until it was resolved. Using this in an environment with about 10 separate development teams. All the teams love this product and how easy it is to get started. It's very well put together, elegant, simple UI that is powerful to use, easy to understand and follow. I HIGHLY recommend this product to any shop. It says it's for .NET and it's geared for that. But you could use it for just about any type of deployment given it's capabilities to deploy via FTP. This is our CD platform. We use TFS for gated-checks and release builds. A release build packages all our components, pushes these packages to Octopus and triggers a release into our Development environment. A suite of integration tests are run and finally if all is successful the team gets a notification on Slack that a new release is available. This can then get promoted through all our non-production environments, Finally, we use offline deployments as we are not yet allowed to promote all the way to production from Octopus. Offline deployments are great as they allow us to retain our tried and tested deployment process but instead, humans become the tentacles when deploying in prod and pre-prod. We build, test and deploy our entire stack using Distelli. Easy deployment of code across multiple machines. Would you believe... for deploying code?